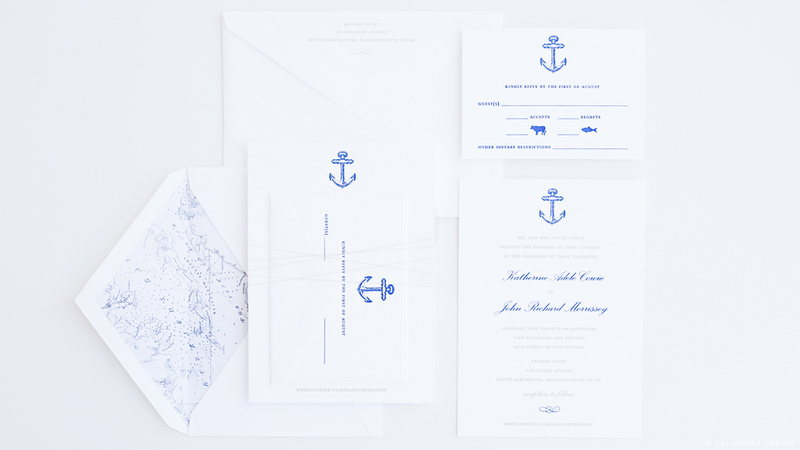 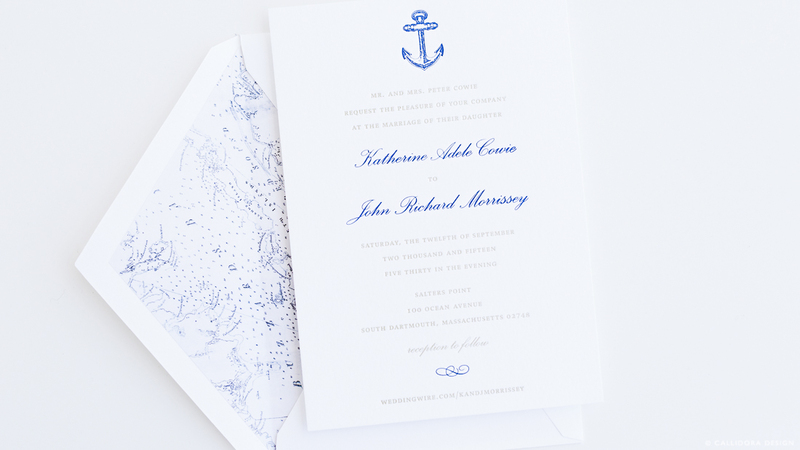 custom wedding invitation suite for a nautical august wedding, letterpress printed in deep blue and metallic gold. 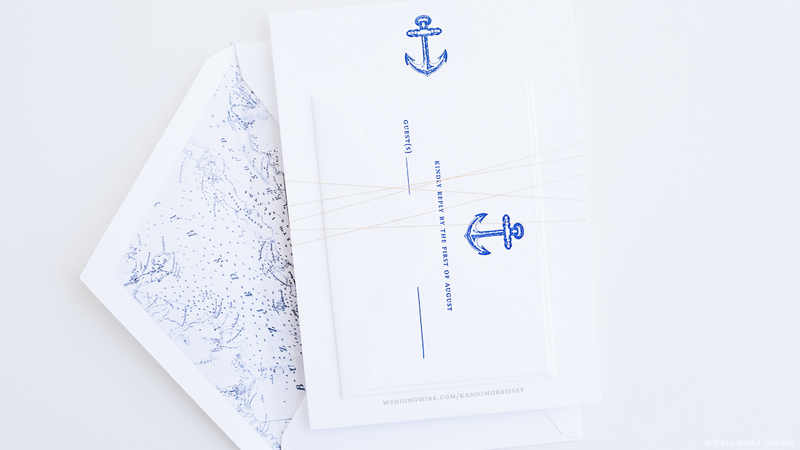 custom map envelope liner and coordinating replay card. 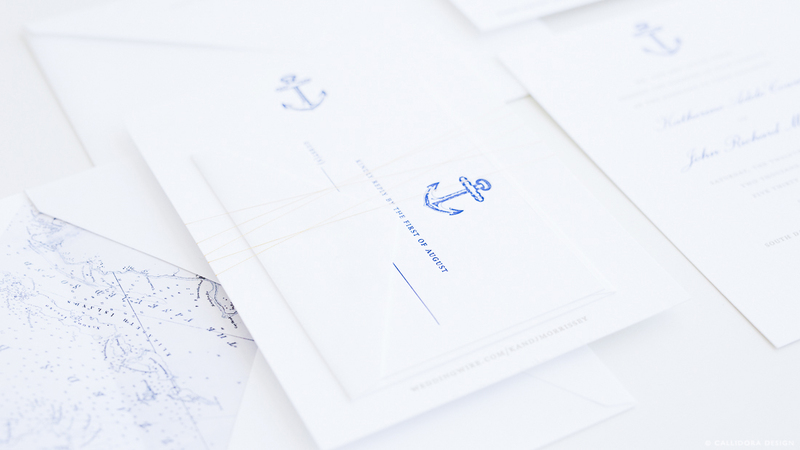 wrapped in gold thread.